I'm David _Kelsey an engineer from Seattle, WA. I grew up in the back of a 1915 Hudson touring and remember dropping the pan in a park on one of our big multi-state trips to take up the rods. I bought my first car about thirty years ago at the age of 9 (it was the leavings of a package deal with Cord ...sadly the Cord was outside the means of a 9 year old). I always liked the lines of the Royale and once I heard one run I was hooked. I've been looking for the right car for ever since. Welcome David. Keep us posted on your search. The red sedan might not be a bad deal but as Kirk pointed out the low res pictures show some issues. Still if it is running and driving and not a rot box it might not be a bad deal. Also you should consider joining the REO club as that would be a great resource for finding a car. My name is Juha Kaitanen. I am not eally a Royale driver. I own two Model G Reos from 1926. One is 4D Sedan and the other is 2tn truck - Heavy Duty Speed Wagon. Besides my Reos I am interested in other passenger cars manufactured by Reo Motor Car Co.
Two Reo Royales from 1931 - 8-31- were imported to Finland. One went to Vyborg. Now parts of Russia. The other was used by our prime minister as his official vehicle. This Royale had a body made by Murray. The body of this Reo is still in there. The chassis, hood, radiator etc are all gone. The owner of the Reo body would very much to rebuild this fine Reo although it is beyond restoration. In order to do the rebuilding he would need complete unrestored other Reo. We have been trying to find such car with no luck. Is anybody out there able to advice us in a way or other? I think you posted over on the AACA forum with pictures of the body. This would be a massive but worthwhile project since the car has a history in your country. As you probably know there are very few of the long wheelbase cars known to exist. However, I believe that mechanically they were identical to the 8-35 with the exception of the lengthened frame. If you were to purchase a complete but rough 8-35 you could extend the chassis for the long wheelbase body. There is a rough but complete 8-35 for sale in California that you could consider. Thank you for your quick reply. As I told I do not own the body of the Royale - that is good because it would be too much work for me. Anyway - is the Royale in California still available and how to get more information or photos of the Reo. Hi Juha. Welcome to the forum. I went to see the Royale in California it is rough but the owner wants $18,000 and would not entertain an offer of less. contact me at [email protected] I may be able to help you. Hi Juha , Welcome to the Forum . 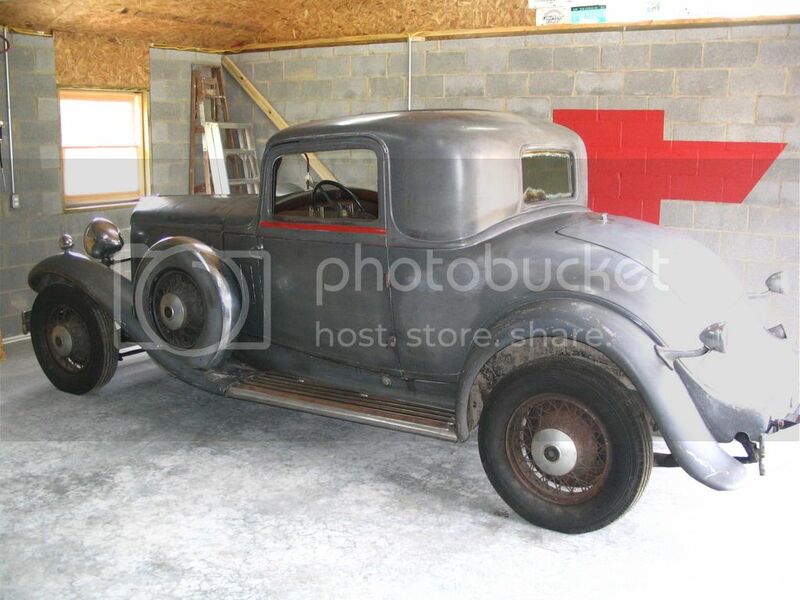 I emailed you a few years ago stating I used to own 1926 Reo T6 sedan also . They are very dependable cars . I now own a 1931 Royale in many pieces . Here is the place for your friend to get some help . I remember someone had some fenders or extra parts in Australia for you ? If you are the same person . Thank you so much for your replies. I shall contact the owner of the Royale body here in Finland and ask if he still is planning to rebuild the car. To markgregory: Yes I am the same man. I also own Model G 2 tn truck - Heavy Duty Speed Wagon for which I am trying to find some crucial parts to get the lorry back to roads. Are the Royale parts in Australia? Hello To All ,, Bill Eaton Here. Just got signed up. John has actually met me, and i have talked to Joe up in Canada on the phone. 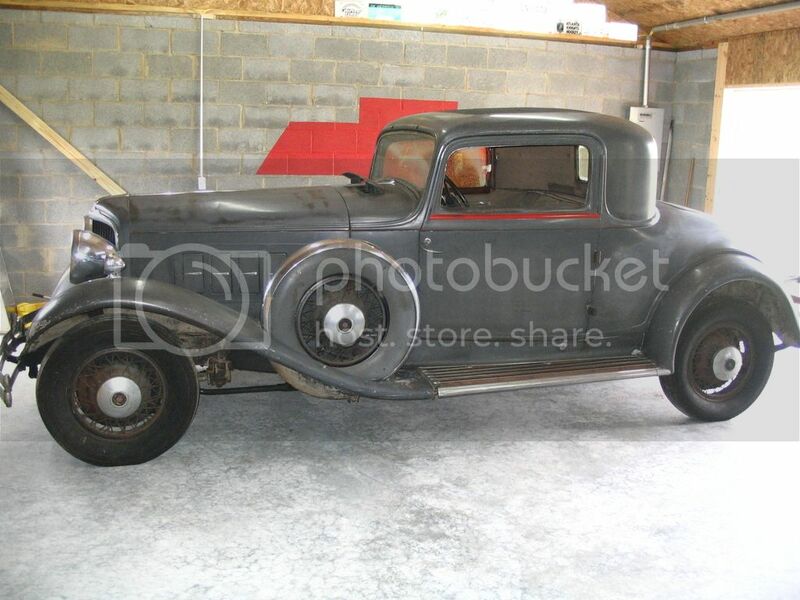 I own a 1931 8-35 Rumble seat Coupe that was purchased brand new by my Great Uncle John.. Car is being professionally restored at this time..
than overloading the ole in box !! We are a small community after all ! Thanks for handling the rubber! I will hopefully be putting it on my car in the not too distant future. The coupes are tres rare so please post a couple of pictures for us. My instructions to my builder was I want the Nicest Royale Coupe that ever was.. And I think he is going to pull it off... No offense to anyone else car for sure..
All the Royales are some of the most beautiful cars ever built.. Cool! Thanks for posting the pictures.